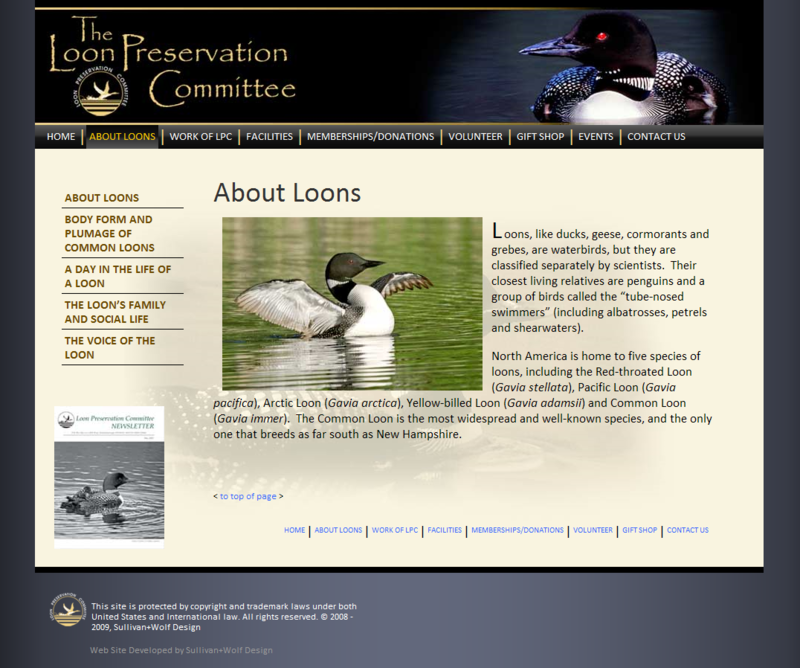 Sullivan+Wolf Design, LLC Designs a New Website for the Loon Preservation Committee. Every year, Sullivan+Wolf Design, LLC helps non-profit organizations by either donating or providing reduced rates graphic design and web development. This year, we are helped the Loon Preservation Committee by developing their website for a lower cost to help the cause. Features e-Commerce, PHP and AJAX technologies.